Ad Infinitum wants your insights on Great Power! In particular, I need any feedback you may have on errors, corrections, clarifications, or the like you have come across in the book, as I look to prepare a corrected release for it this year. You can use this form to submit your insights. Submissions are anonymous, although you can include your name, if you wish, and those who do so will receive credit in the updated release of the book. I’m looking to collect information in the next 4-6 weeks, so responses after, say, February 20th, 2016, may not be useful in the correction process, so please, don’t delay! 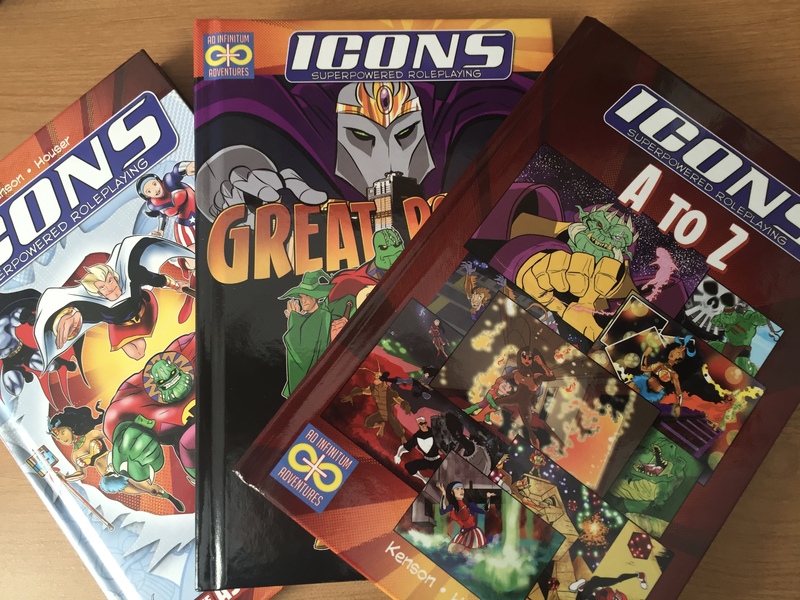 If you need further clarification, you can always email me, and thanks in advance for your support of Icons and Ad Infinitum Adventures! 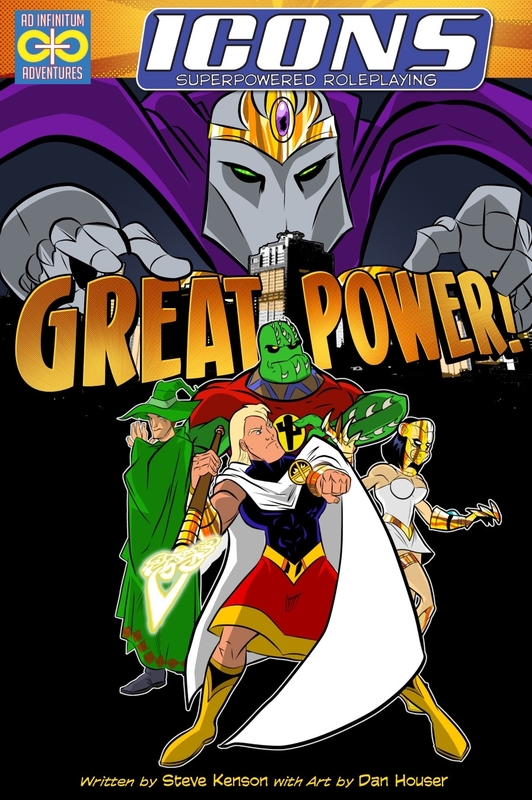 Great Power: Now in PDF & Print! 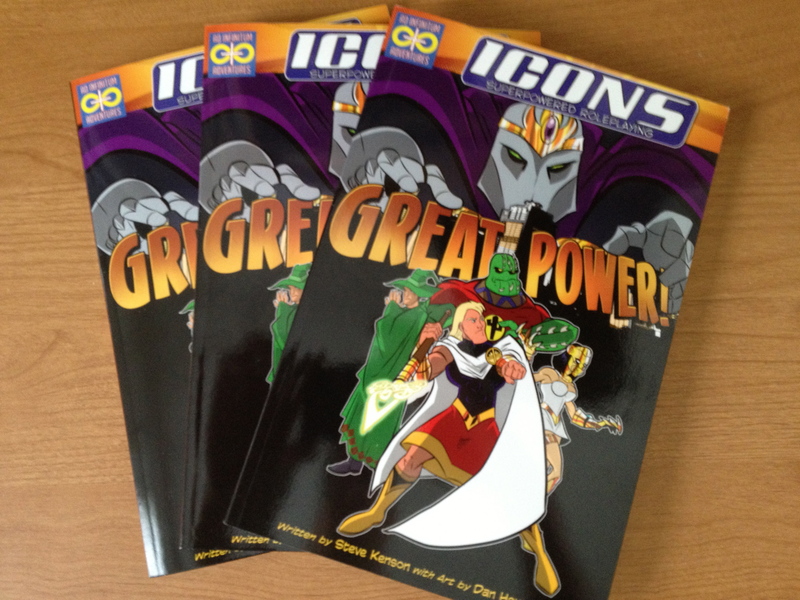 After some wrangling, the print edition of the Great Power sourcebook for ICONS is now approved and available for sale on DriveThruRPG and RPGNow! Print copies are ordered for the Kickstarter backers and should be shipping out to them and I should have a very limited number of print copies of the book with me at Origins, if anyone is interested in taking a look. The print edition is $20 for the “standard” color format and $30 for “premium” color. Although is premium color is more vivid, the standard color is shockingly good, if you are on a budget. My standard color copy is now the go-to reference copy I keep on my desk. Plus, when you order a print edition, you can download the PDF edition at no additional cost! It’s two versions of the book for the price of one.